Because the number of passwords that we must remember, is more than a place for them in my head, faced, probably, all active users on the Network. And one thing — passwords from services and websites that you use every day — these somehow deposited themselves. And more — from any forum in which you find yourself every couple of months or less. It’s generally impossible to keep in memory! What to do? Of course, you can assign one password everywhere — but it faces a big security problem: someone got their hands on database some service where you registered, and you can say goodbye to all digital life: take everything starting from email and ending to the Steam account. Well, this option dismisses. Then carefully record all passwords in a text editor and stored in a single file, but then the same problem: if a file gets lost? Well, it must either be stored in the cloud, so all passwords are at hand, or to manually sync. And this file also may accidentally fall into the hands of not very nice people — you know the rest. In General, it is also unsafe. So, to memorize and remember an insane amount of passwords by heart? Also will not work! Typically, the user only remembers the passwords used constantly. The rest quickly fall out of memory, especially if they are quite safe — with the shift registers, numerals and symbols. In General, in order to make life easier for the user, there is a special type of program — password managers. The main objective of this application is to collect, encrypt and securely store information about all your accounts, making it inaccessible to intruders and is available for you. In this article we will look at five of the most famous password managers which greatly simplify the lives of millions of users around the world. 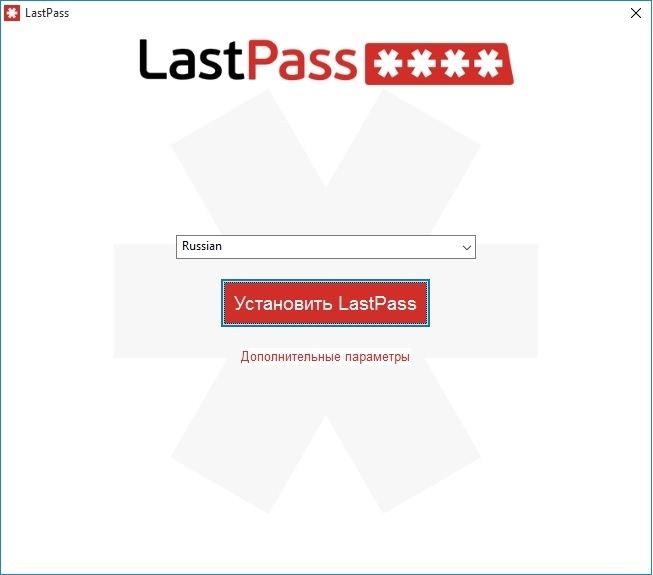 One of the most popular password managers LastPass is considered the brainchild of the American company’s LastPass Corporate. Facilities programs are usually noted by its simple interface, multiplatform, secure password encryption that occurs on your device, and then the data is already in encrypted form is transmitted to the company’s servers. The application works both on Windows and on Linux, Mac and also on mobile devices and tablets for iOS and Android, on smartphones running Windows Phone, BlackBerry and even FireFox Mobile. In addition to the “home” version, there is corporate, having the function of integration with the local domain controller, and configure access policies. It also stores data about all the accounts of employees in corporate Internet services. For example, with LastPass it is possible to configure the access of employees to Office 365, Google Apps for Work and other business services on the Internet that your company uses. To get started with LastPass you need to download a special program and to register in the system. After downloading the installation file, run it to open the installation window. Select “advanced settings” to set the settings of the program — in particular, you can specify the installation location for the application to specify which browsers will be installed LastPass extensions and set advanced privacy settings. 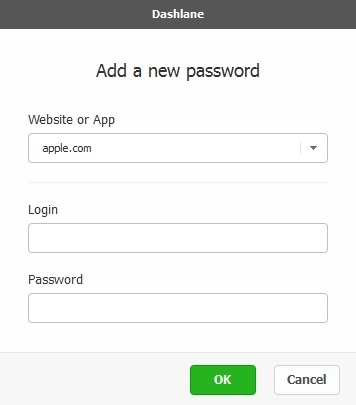 After installation, the app prompts you to log in to your existing account or create a new one. When you register for the service, you must specify a valid email address and set master password. According to the developers, the master password must be very good to remember and enter very carefully. If you forget it, at least get phrase-reminder. The password administration the administration of the service can not be read, as we do. Requirements for the master password the following: a minimum of eight characters, is also recommended to use a combination of uppercase and lowercase and numbers. After the registration the software will find passwords in storage and browsers will offer to import them. Browse the list and click the “Import” button if you want to import account data. Optionally this may be omitted by clicking “No thanks”. 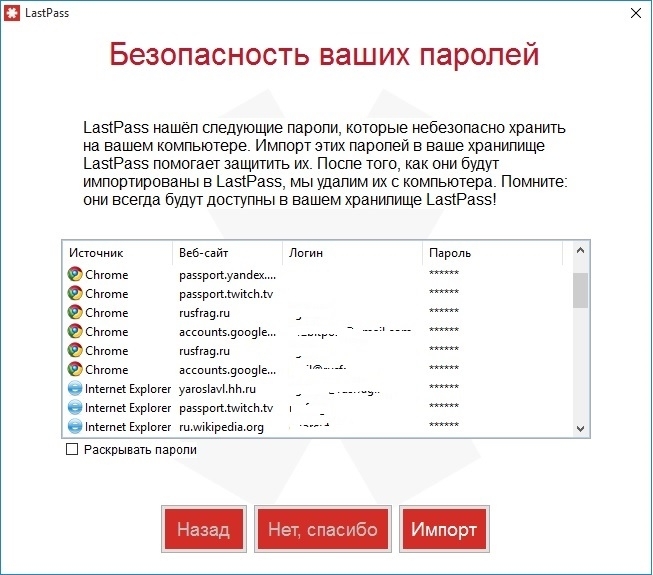 It should be noted that when you import the passwords will be deleted from the repository browser and now login to the services through the service LastPass. Now start the browser that you usually use, and set addition. Then pass the authorization to do this, click on the program icon and in the opened window, enter the email address that you signed up with and the one master password — the only password you now need to remember. After authorization you get in the management section of LastPass. Here it is possible to add and delete accounts, and configure the system. In the section “the Vault” contains all of the details about your accounts, for convenience, are sorted into folders-categories. Clicking on folder will open the list of passwords contained in it. Each password can be viewed by selecting the appropriate option near by. 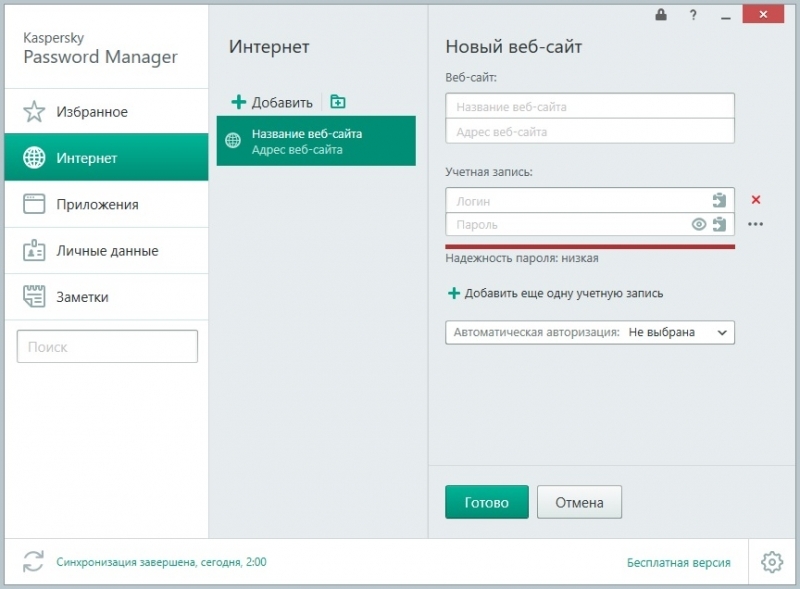 In edit account information you can change the password, the folder of the host account, add notes, and customize additional settings — for example, you can enable auto-login during authorization on the website. Another interesting feature of the app, which I would like to draw attention, is in the section “form fill Profiles”. Here you can create and populate a user profile with information about yourself — name, surname, patronymic, home address, mobile phone number, credit card information, and much more. Now when you register on the sites you will not need to type it all many times: just select the appropriate profile and all the data will be filled in automatically. 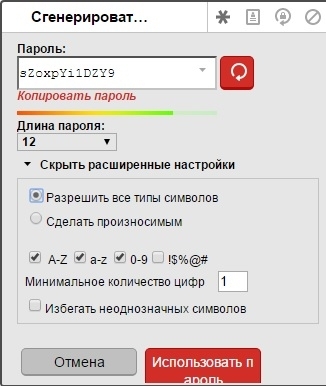 When creating a password, you can use the generator which will offer difficult to crack and the selection of a combination of letters, numbers and symbols — something like sZoxpYi1DZY9, as shown in the figure below. Using the settings you can set the password length and what characters you want to use there. Now consider how to pass authorization on the website, if the account on this resource introduced in LastPass. Here all is simple — open the site and click on the program icon in the field of authorization. It should be noted that, in addition to the regular subscription, there is a premium mode. It costs $12 for one year and includes additional capabilities for accounts — shared with mobile devices store passwords, and the ability to share information about one or more accounts with other users. For example, some online online are not only you but your wife, children or parents. Each of them has its own account in LastPass. With this function it is possible to share information about the account on this site, then another user of LastPass will be able to log in under it. In the premium version, as mentioned above, there is support for password sync with mobile devices. 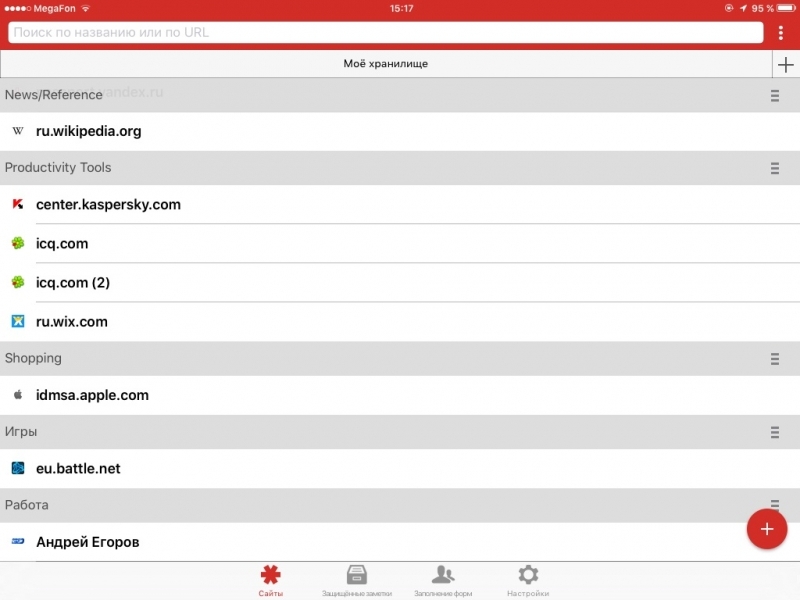 After installing the application you need to login to LastPass on your account, then your mobile device will load all your accounts saved in the system. It is also possible to view information about each account, edit it or go to the website for which this account is created and login. 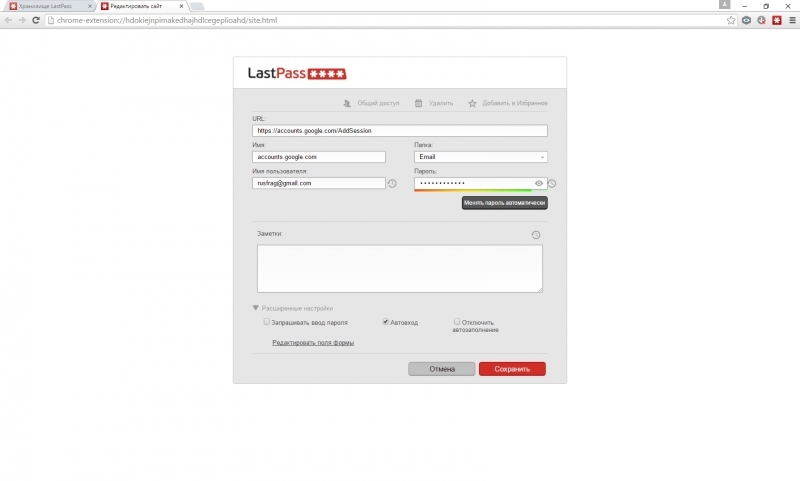 Overall LastPass makes a very good impression — a convenient and functional program that has many useful possibilities. For small cons is that can be attributed to the lack in the free version of accounts synchronization with tablets and mobile devices — but it is necessary for the developer to monetize their service. The following program, which I would like to tell, — Sticky Password from the Czech company Lamantine Software. The app is available on multiple platforms and is also able to sync your accounts across devices. 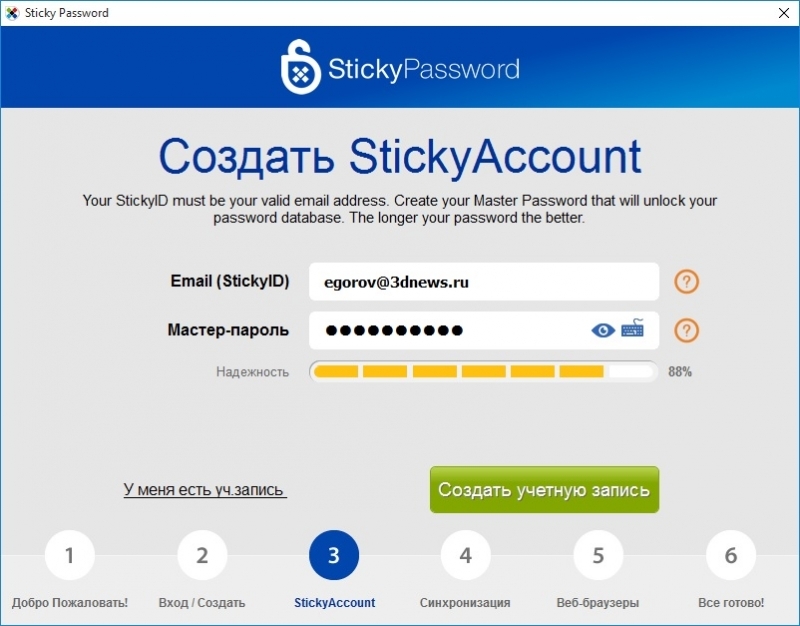 According to the developers, Sticky Password can store all your passwords in an encrypted vault, and automatically fill out forms and credit card numbers for quick reference. Your information protected traditional master password, which you need to remember. 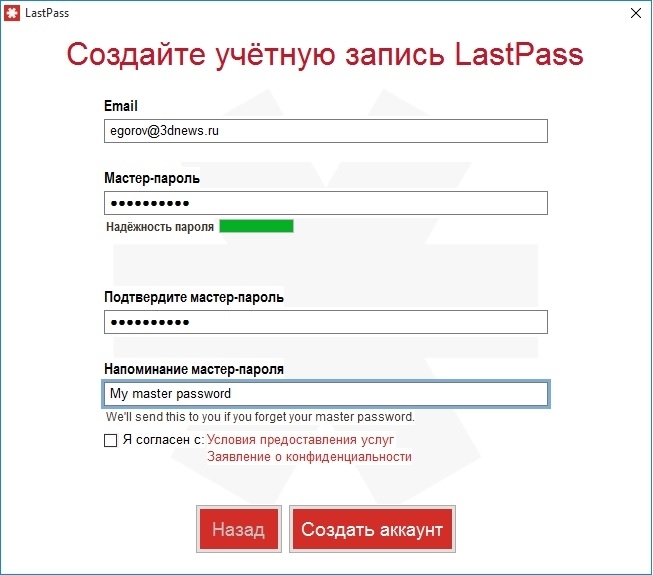 As in the case of LastPass, the creators of the system have reported that they do not know our master password, so it is necessary to memorize and not forget. Of the more interesting features the program has to support encryption AES-256, biometric authentication and the ability to sync passwords to your devices via Wi-Fi. Also, the authors promise the correct operation of the application in the four most popular operating systems and sixteen browsers including Google Chrome, Mozilla Firefox, Safari and Internet Explorer. Installing Sticky Password is not very complex — just need to load the program from the official site and traditionally run the installation file. After installation, the application you want to configure. In the next step you will be prompted to log in to your account or create a new one, which will require an email address and master password. In General, here too, everything is standard. In the next window, confirm the master password and put a check that the master password is not stored anywhere and is known only to the user. Next, the program prompts you to synchronize data via the cloud service Sticky Password. If you have multiple devices, select the option sync. 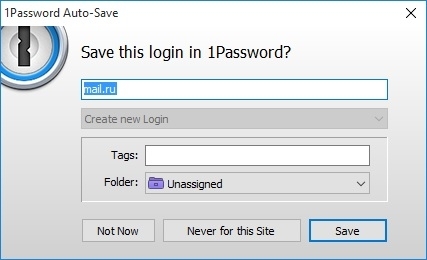 Then you need to choose the browsers in which you want to use Sticky Password, then the program is ready to work. After receiving the password from the repository browser the program will remind you 30 days free premium subscription, and then click “Start”, you can read a little instruction on work with the program and start finally working window of the application. Under “Internet Accounts” is a list of user accounts found on the computer. Each entry can be edited or deleted, and you can add a new one. Entries are invited to the group by folders. 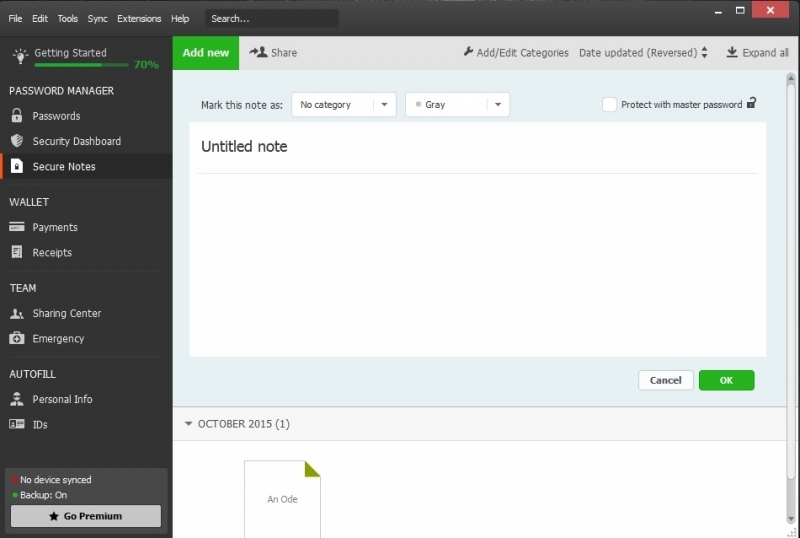 Of course, you can create new folders and copy data between accounts. Another notable feature of the program is the ability to save passwords not only for websites but for apps. 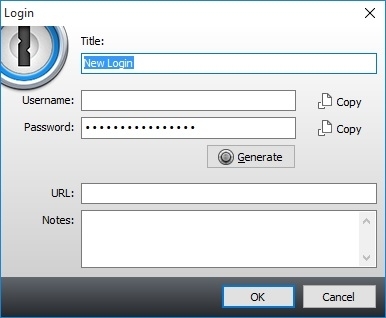 It is possible to select the program and specify your user name and password to log in. If the program is not visible in Sticky Password, you must select it through the menu review. Like LastPass, the application has the possibility of adding personal data to fill out forms — this part must be sought in the section “business Cards”. Click “Add card” and in the opened window you will fill in information about yourself. In the future it can be used to populate the profiles when registering on various websites. In browsers with installed Sticky Password appears extension — using it is possible to move quickly through the authorization process on sites account to which are located in your vault of passwords. To do this, open the options menu “Internet Accounts” and then select the desired website. After that, the browser will open the selected resource and add the necessary login information. 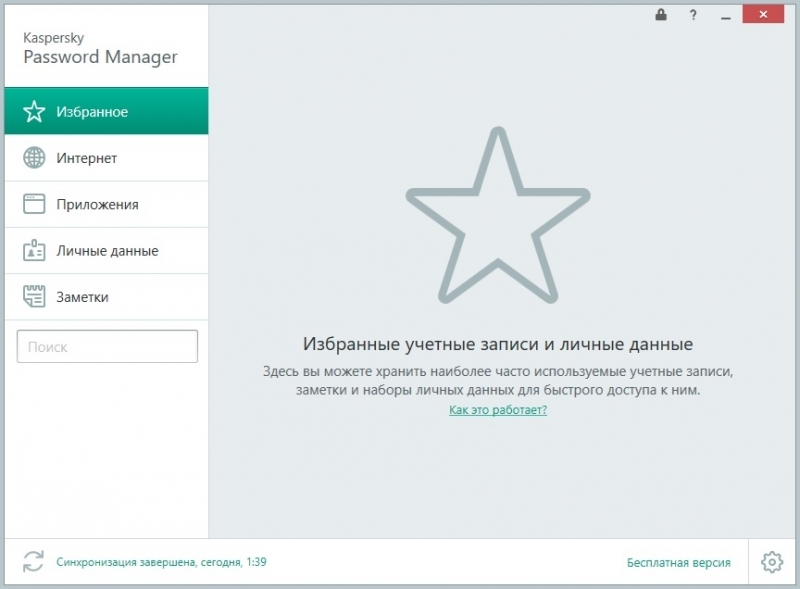 Kaspersky Password Manager — a joint project of companies “Kaspersky Lab” and Lamantine Software. Password Manager is created on the basis of Sticky Password, so the programs are very similar… well, everything. The application is shareware. The free version can only store up to fifteen accounts to store a larger number of accounts, you’ll need to purchase a paid version. It is worth noting that a separate program is not for sale, you can buy it is possible only as part of Kaspersky Total Security or Kaspersky Small Office Security. 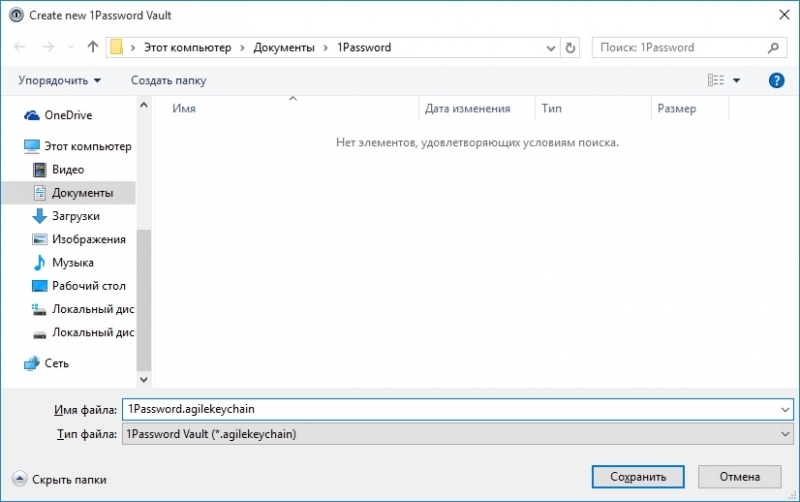 However, despite the fact that Password Manager is included with these applications, it can also be downloaded separately from the website of “Kaspersky Lab”. The installation of the program, in General, the same as the previous: run the executable and follow the installation wizard. Unlike Sticky Password here accounts sync with the servers “Kaspersky Lab”, and to enable synchronization, you must specify either account My Kaspersky for home use as part of Kaspersky Total Security, or account of your company at a special site of “Kaspersky Lab” for organizations. In General, the feature set Password Manager is virtually identical to Sticky Password, so we will not consider it. 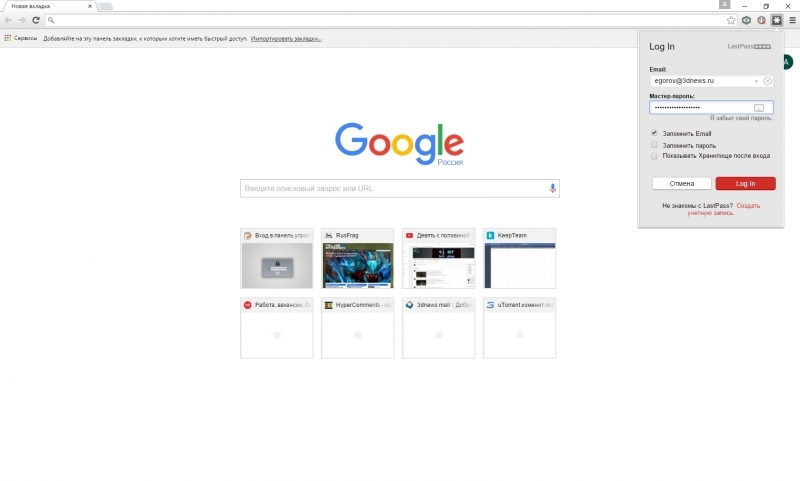 After the installation program also adds extensions to your browsers. Using these extensions you can take a quick authorization on the sites where you registered, and add your information for quick check-in, to avoid typing them every time. 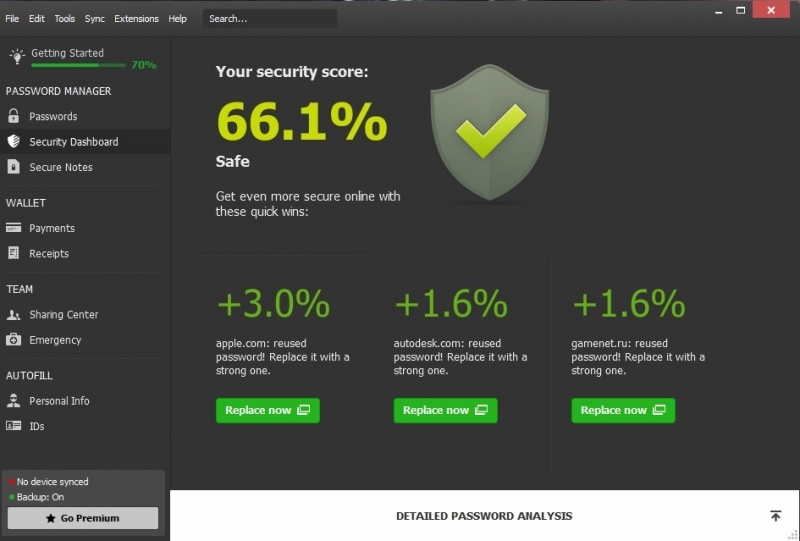 Another password Manager that would also like to draw your attention to Dashlane. On the one hand, we cannot say that it has any unique functions which have not been discussed in previous sections of the review. On the other hand, it is quite convenient and easy to learn. In addition to the “home” version, is and corporate, designed to work in your organization. Traditionally, users are offered two options account — the usual (free) and premium. The free version has some limitations — the user will not be able to sync account information across devices and make a backup of data to the cloud service. To begin using the program, go to its official website and download the application. 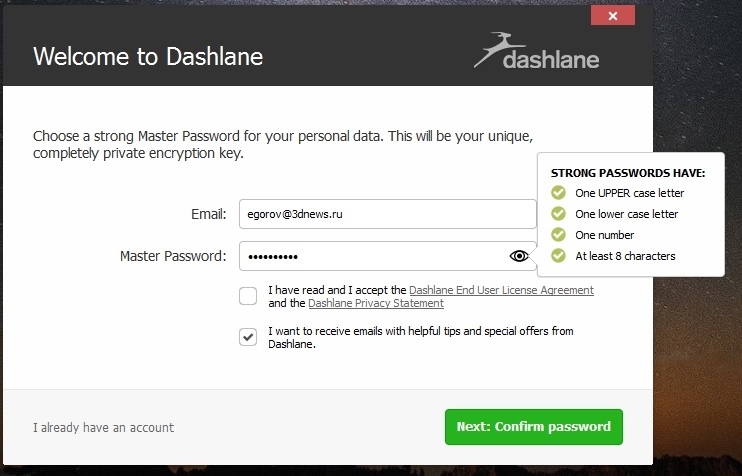 Installing Dashlane is pretty simple — run the executable file and after installation will see the welcome screen. 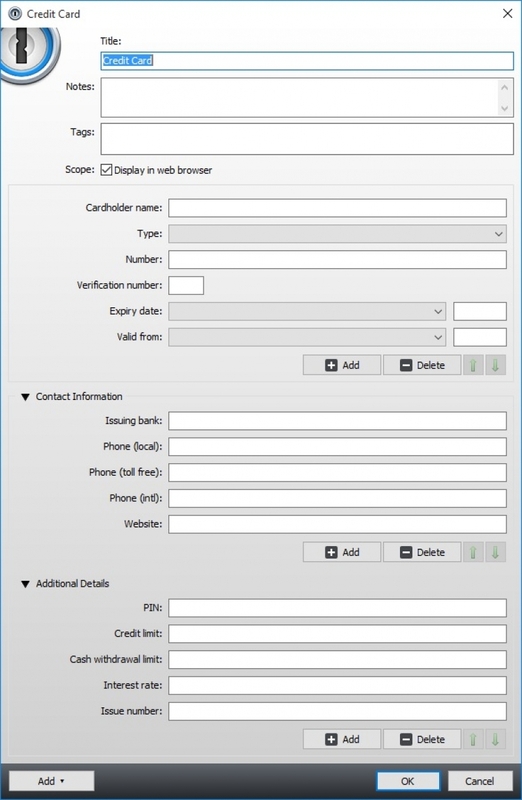 Select the option to create an account and enter the required data. When creating your account to us, of course, offer to create a master password. The program will remind you that you know its just you and the password you have to remember. After all preparatory actions will open the work window Dashline. Store passwords, see Passwords. 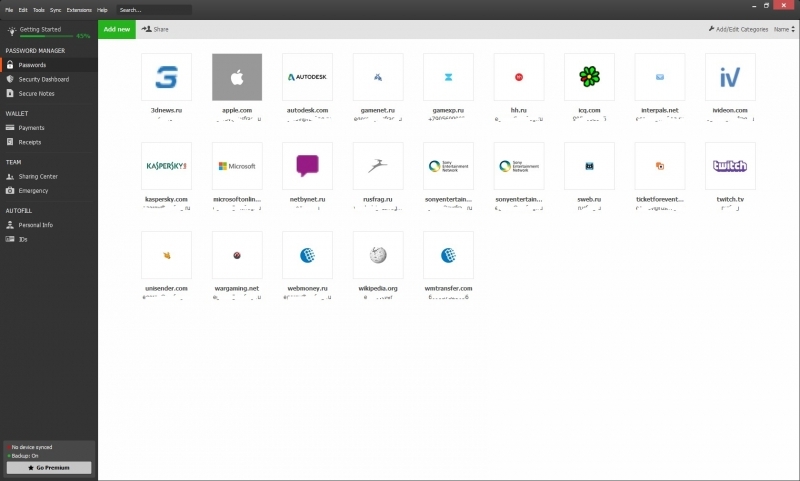 As in other programmes, passwords, you can organize — create folders-categories for further sorting of accounts. 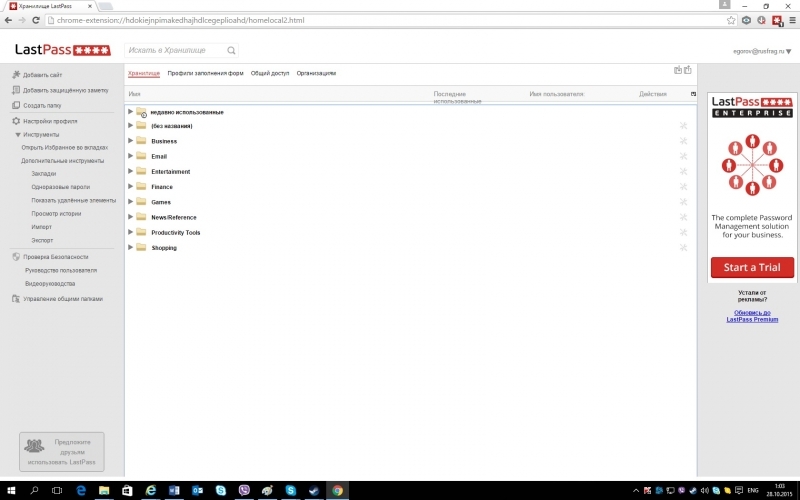 Accounts can be added to the system in two ways: through the program and in the browser, if you enter the data record, which is still unknown to the system. To right-click on the network icon brings up a context menu with which it is possible to perform actions over it — to change the password, delete, change category and give access to another user. In the Security Dashboard section of the program will give the overall rating of security accounts and to change the passwords for the accounts that, according to the results of the analysis are too simple and can be hacked by hackers. In the Secure Notes are added to the secure notes that, as in similar programmes, will be in a special section of the store. In the Payments is the credit card information or Bank account, in addition, it is possible to see the purchase history. Under Team are options with which you can communicate with other users, for example, family or colleagues. If you leave on the websites of any personal data, you should pay attention to the section IDs, where you enter details of the passport, driver’s license and other personal documents to use them when needed. 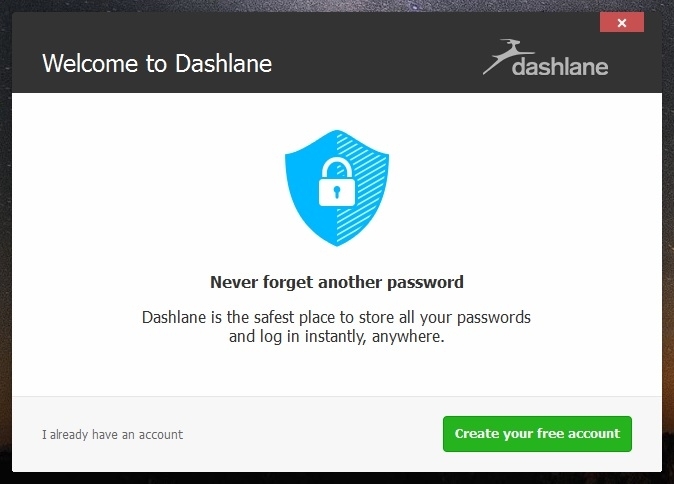 Similar to other apps, Dashlane installs extensions to browsers, which you can use to log in to the sites and to add new accounts to the system. The plugin recognizes when you enter the credentials, and prompts you to add account information into the program. The advantages Dashline include easy to use interface, ease of use and the ability to analyze the system of your passwords and recommendations for their replacement the most reliable. 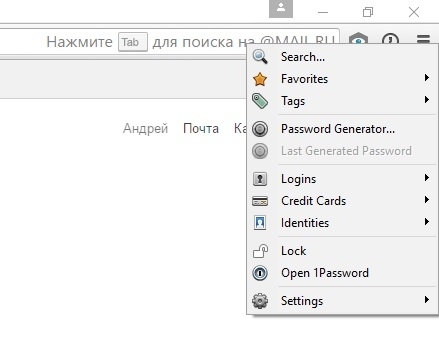 But there are also cons — no support for Russian language, and the most important features are only available in the premium in the free version there is even the possibility to sync passwords between devices. Well, concludes our review of 1Password. The application differs from all these advanced encryption algorithms, the lack of private cloud services and licensing. 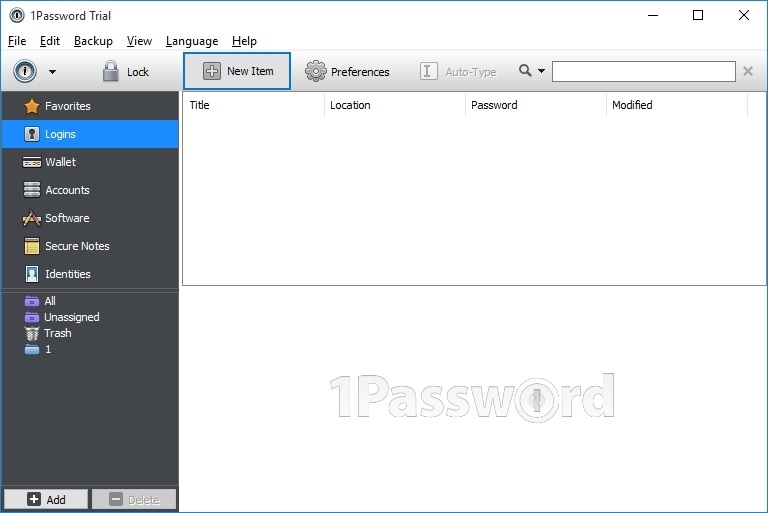 1Password is distributed on a shareware model — the option of subscription absent here. After installation, you can use the app for free for thirty days, after which once you must purchase a license. We will look at the Windows version of the programs within this review. The installer program can be downloaded from the official website. After the installation wizard starts the initial configuration. Select the option I am new to 1Password window will open save the password store. Select the folder where — by the way, this may not be the only folder on the local hard disk, but the network directory or folder in online file storage service (e.g. DropBox, OneDrive and other similar services). The application also includes the ability to synchronize data via Wi-Fi — useful if you have multiple devices between which you want to synchronize account credentials. For synchronization, the system generates a special password that must be entered on other devices. After selecting the folder for saving, you must set the master password. Next, you will prompted to install the extension for browsers, and then open the working window of the program. 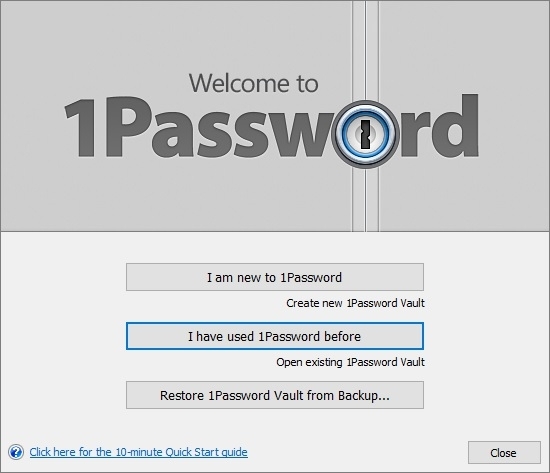 After installation, you can invoke 1Password by clicking on the icon of a padlock that will appear in the taskbar. Work window is divided into two areas: the left lists categories of accounts, it is also possible to group them in folders. The right part, in turn, divided into two areas: in the upper part you can see the list of accounts and the lower part shows detailed information about the selected account. In 1Password, you can add several types of accounts — account registration on the sites, payment information, including credit and debit cards, and records of licenses. The creators of 1Password ensure protection of your data, stating that each element is encrypted with a 256-bit key AES. Like other password managers, 1Password adds an extension to the browser that contains options for adding and administering user accounts. Now when you login to the site if the account is for him not yet saved in the system, the extension will automatically intercept the data and offer to store them in 1Password. 1Password makes a very good impression. The advantages of the application, of course, include a simple and intuitive interface, reliability, data encryption, relatively low price and can store the password file is not in the cloud, which is imposed on the developer company, and to any storage of your choice. If DropBox, OneDrive and other similar services are in doubt, then the data can be placed, for example, on a corporate or home server in the local network by opening the folder with the password file for a specific user (or users). The master password should be very well to remember — the data are stored only, and thus restore it will be impossible. Generally, 1Password can be recommended to those users who are not credible cloud services, and who prefer not to pay for the subscription, and purchase one-time license. The table below compares password managers discussed in the article. In General they are similar, but the following differences in functionality will allow everyone to make their choice. 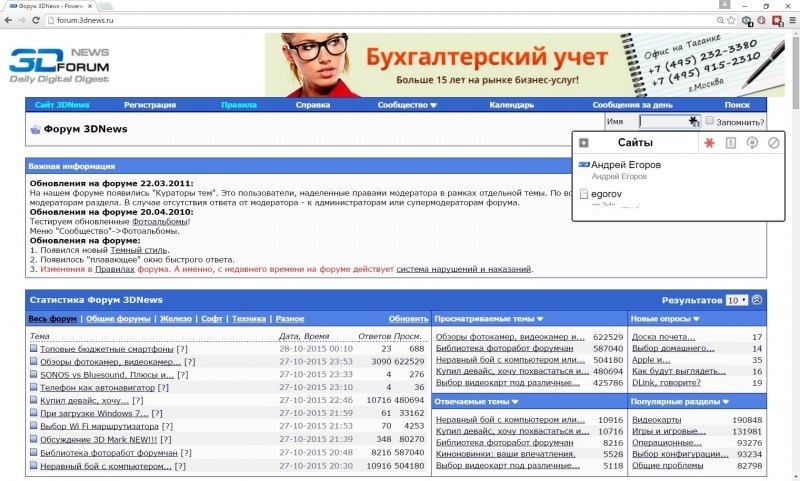 License Subscription, it is possible to use the free version with restrictions. Premium features are available only after payment. 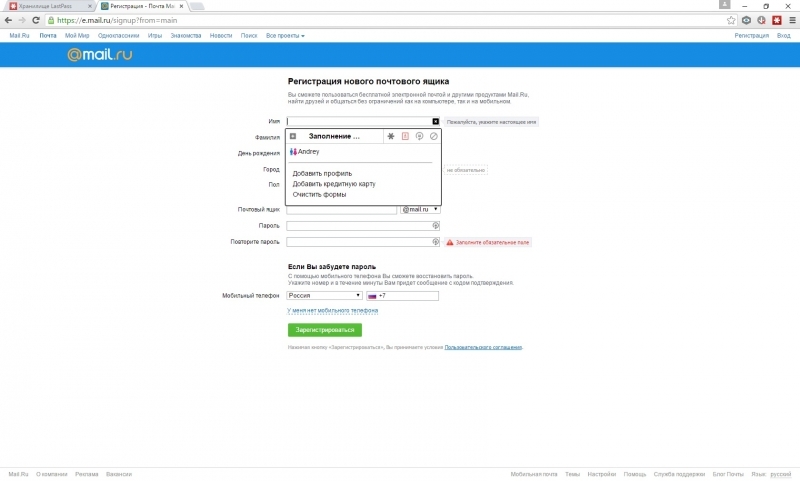 Subscription, it is possible to use the free version with restrictions. 30 days of free premium subscription when you register. Subscription may purchase only as part of Kaspersky Total Security and Kaspersky Small Office Security. The ability to sync between devices available in the free version. Limitation of the free version — the system cannot store data on more than 15 accounts. Subscription, it is possible to use the free version with restrictions. Free version — 30 days one-time purchase of the current version. Premium features The ability to sync accounts, no ads, the ability to transfer account information to other users. The account sync on multiple devices via Wi-Fi and cloud service developers, as well as the ability to backup a storage account to the cloud. The opportunity to contribute data on more than 15 accounts in the system. The ability to synchronize data between devices, the ability to save data backups on accounts to the cloud. The possibility of further work in the program after the free trial period (30 days).